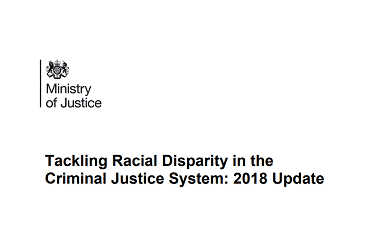 The Ministry of Justice recently launched Tackling Racial Disparity in the Criminal Justice system: 2018 Update. The report highlights progress in the Department’s implementation of the Lammy Review over the past year. Youth Justice – According to the Youth Justice Board Annual Report, the figure for BAME children and young people held in custody is now 45%. One of Lammy’s biggest concerns was that the higher rates of ethnic disproportionality in the youth justice system would be transferred into the adult custodial population. We welcome the joint work carried out by the MOJ’s Youth Justice Policy Unit and the Youth Justice Board. The former Youth Justice Minister Dr Philip Lee made a commitment to developing a BAME Youth Strategy. Equal would welcome the Department taking this forward. The Secure Schools programme is likely to be the most significant new development around youth custody in recent years and that it is not mentioned in the report is worrying. We must ensure Secure Schools have a strong focus on addressing ethnic disparities and improving outcomes for BAME children/young people. To miss this opportunity would not be in the spirit in which the Lammy Review was created. Data - We note the progress made in the area of data collection in implementing the Lammy recommendations. We acknowledge the development of the scorecard for Lammy implementation and would welcome the opportunity to comment on it as it will be a key reference point in the delivery of the implementation process. Gypsy, Roma and Traveller/ Muslim communities - The establishment of a GRT Action Plan developed in collaboration with GRT voluntary groups is to be commended. We would recommend that HMPPS develops a similar response to issues facing Muslim communities in prison and through rehabilitation services. As touched on in the Lammy Review and highlighted in more detail in the Young Review report, the experience of Muslim offenders is too often viewed through the lens of security and radicalisation although less than 1% of Muslims in prison are being held on terror-related offences. A focus on improving their experience in prison and outcomes would be a positive development. Prevention - The report details work with Police and Crime Commissioners on the prevention agenda. Equal is working with the Association of Police and Crime Commissioners and would be keen to support this work as part of our developing partnership. Metropolitan Police Service Gangs Matrix - We look forward to the release of the Mayor of London’s review of the Gang’s Matrix. BTEG has been a member of the Community reference group established by the Mayor’s Office for Police and Crime to inform this review. Recent research reports from Amnesty International and Stopwatch raise serious questions around the Matrix in relation to its legality, governance, effectiveness and its propensity to perpetuate ethnic disparities. We share these concerns. Trust in the system - The work the MOJ has initiated/supported in North London with Spark2life and Emery Hall Brown solicitors in engaging with and educating young people around the issues of trust in the criminal justice system is positive. We note the planned ministerial roundtable event on this theme. Clearly the voice and experience of BAME children is critical. BTEG has previously worked with the Children Rights Alliance around the issues of policing and BAME children and would be happy to input into this process. Prisons - Members of the Advisory group have participated in the HMPPS’ External Advice and Scrutiny Panel (EASP.) This has been a productive development. Processes have been established to implement Lammy’s recommendations in the areas of complaints, the incentives and earned privileges scheme and use of force. 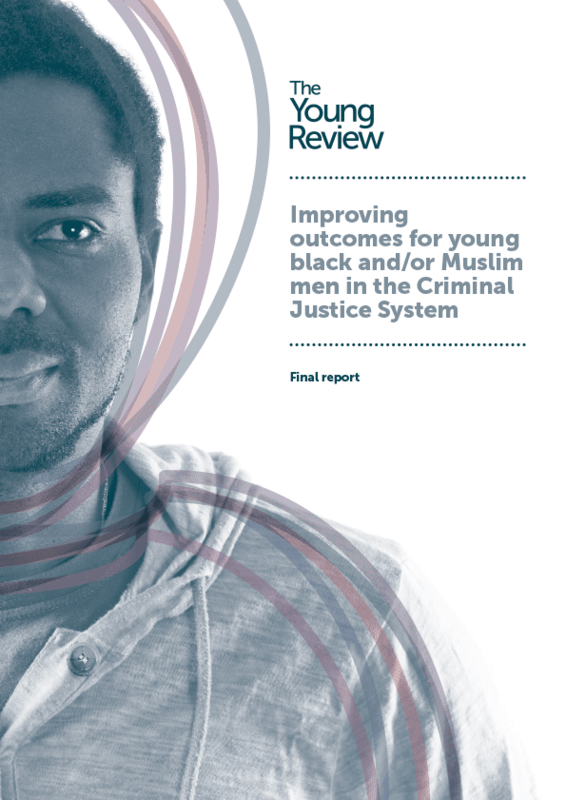 It is, however, crucial that we have a clear framework for monitoring their delivery, measuring their impact and some expectation as to when we can see tangible improvements in outcomes for BAME offenders across these indicators. Rehabilitation - Equal, in partnership with the MOJ as part of its Probation Consultation, recently held a joint a joint consultative event and made a written submission to the consultation. The submission made a number of recommendations that we believe, if adopted, would strengthen the likelihood of the upcoming procurement process for the community rehabilitation contracts to deliver improved outcomes for BAME offenders. Clearly a lot of progress has been made over the past year and Equal welcomes the commitment of Ministers and the groundwork that officials have established in recent months. My personal commitment as the Chair of Equal is to see tangible improvements in the outcomes and experiences of BAME offenders and communities within the justice system. This is clearly where the focus has to be over the coming two to three years. One thing I felt was missing from the report was a recognition that the Department could be giving a greater focus on its statutory duties under the Equality Act and the Public Sector Equality Duty, which we firmly believe is a powerful tool to drive reductions in disproportionality and this is precisely what this legislation was designed to ensure. One of the ways in which this could be beneficial to the process is the use of Equality Impact Assessments and, crucially, giving them greater credence in the policy/procurement development process, and utilising civil society formally in their production. Within the current politically turbulent environment, making progress on improving outcomes for BAME groups in the CJS will continue to be challenging but I am hopeful and determined that we will make a difference over the coming years.